Ubisoft has been teasing the reveal of Far Cry 5, the latest entry in its Far Cry series, with the release of a teaser trailer and an art image this week. A teaser trailer released on May 22 serves as an introduction to the fictional Hope County in Montana, USA (no such county exists in Montana) and the types of locales that will likely be traversable in-game, including mountainous regions, farmers’ fields, and more. The trailer also hints at the types of people who might live in the county, showing a man ringing a church bell by striking it repeatedly with another man’s head. This sparked speculation that the game will pit the player against a violent religious cult. 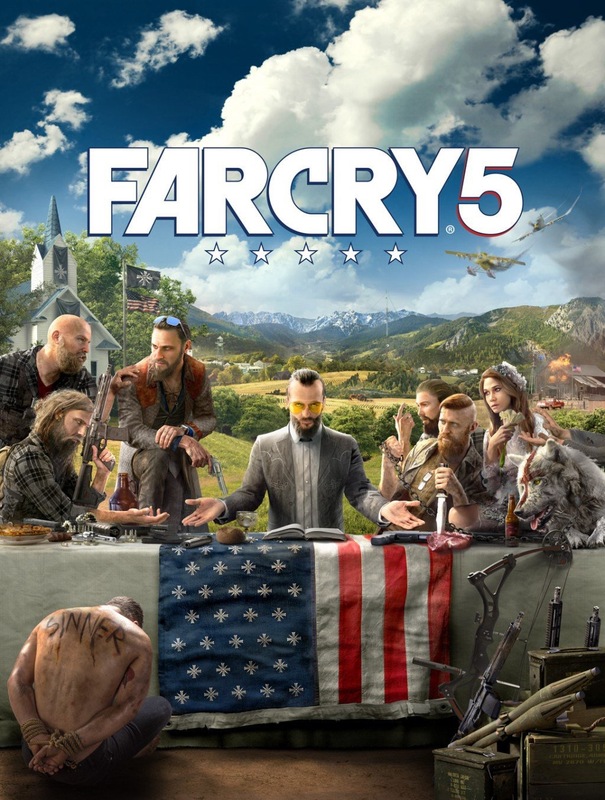 Following the release of the teaser trailer, Ubisoft revealed an image believed to be the game’s box art, which appears to confirm the presence of a religious cult, featuring several people seated at a table with weapons, alcohol, a book (likely a bible) and an American flag. In the foreground sits a shirtless man with “SINNER” written on his back. The art also includes two planes that appear to be engaging in a dogfight, which has led many to believe that the player will be able to take to the skies in their quest to eradicate the cult. The response to the teaser material has been largely positive, with players generally excited to see what a Far Cry game set in the United States might bring to the table, as this diverges fairly drastically from the exotic locations that have been featured in past entries in the series. The release of the teaser trailer and box art image are intended to serve as a lead-up to set the stage for the official worldwide announcement trailer, which will be released by Ubisoft on May 26. Previous articleGiveaway – The Deadly Tower of Monsters!